Propolis evokes several therapeutic properties, including anticancer activity. These activities are attributed to the action of polyphenols. Previously it has been demonstrated, that one of the most abundant polyphenolic compounds in ethanolic extracts of propolis are chrysin, caffeic acid, p-coumaric acid, and ferulic acid. Although their pro-apoptotic activity on human tongue squamous cell carcinoma cells (CAL-27) was established previously, the detailed mechanism of this process remains unclear. 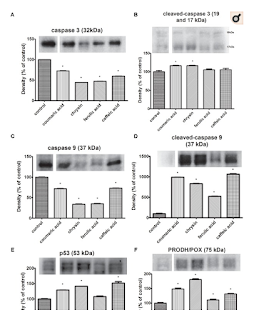 Considering the crucial role of proline metabolism and proline dehydrogenase/proline oxidase (PRODH/POX) in the regulation of cancer cell survival/apoptosis, we studied these processes in polyphenol-treated CAL-27 cells. All studied polyphenols evoked anti-proliferative activity, accompanied by increased PRODH/POX, P53, active caspases-3 and -9 expressions and decreased collagen biosynthesis, prolidase activity and proline concentration in CAL-27 cells. 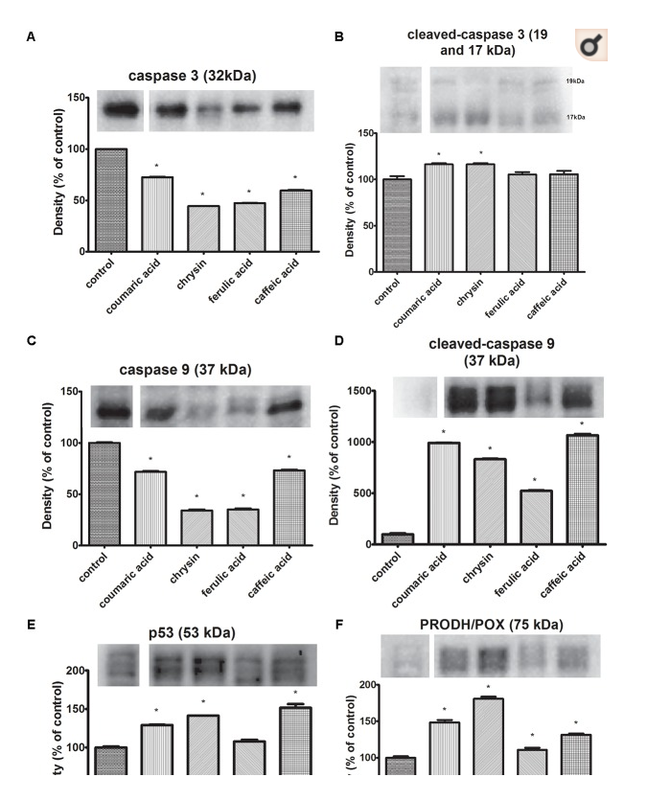 These data suggest that polyphenols of propolis induce PRODH/POX-dependent apoptosis through up-regulation of mitochondrial proline degradation and down-regulation of proline utilization for collagen biosynthesis.